A KISS auction featuring Paul Stanley items is currently available via CharityBuzz. 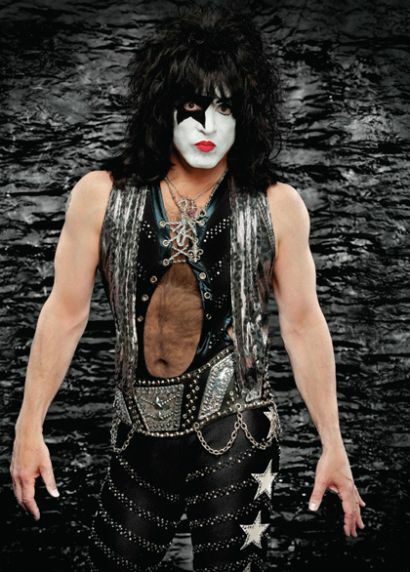 The KISS frontman has donated a Paul Stanley PS150 autographed guitar and a 5-minute phone call to the lucky winner. Proceeds from the auction benefit the Voice Health Institute, a federally-approved non-profit organization that was established in 2003 by patients with voice loss to advance voice restoration and breathing impairment as a result of throat and larynx problems through the support of innovative research, education and outreach programs. "I hold myself to a higher standard than others do," Stanley said at the time. "With that in mind, I wanted to remedy a few minor issues that come with 40 years of preaching rock 'n' roll." Learn more about the VHI here. The Paul Stanley auction ends on Thursday, February 14th at 1:16 PM, EST. For more details and to place your bid, visit CharityBuzz here.